The evangelical church, is beginning to see the value in studying the early church fathers. A slew of recent books from the likes of Haykin and Litfin among many more specialized studies, has reawakened the usefulness of the early church fathers (and mothers) to help in our own understanding of theology and living the Christian life today. 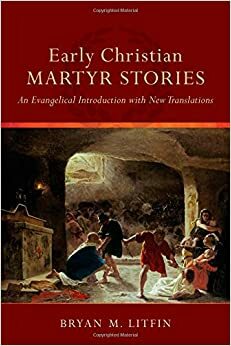 Bryan Litfin has offered us another look into the early church, in particular with the martyrs of the early church in his book, Early Christian Martyr Stories. Here, Litfin provides for us a very readable, engaging, and useful tool in evaluating our own Christian devotion in light of the devotion of the early church. After an introduction to Christian martyrdom Litfin begins to introduce us to the major martyrs of the early church period. Through brief, yet complete and interesting introductions, Litfin sets the contextual stage for the account of each martyr’s death to be understood. He begins in the pre-New Testament period with the Maccabean martyrs, and then the Apostolic martyrs, Peter and Paul, and then moves through those who have been martyred (Perpetua and Felicity for example), or those who have written on martyrdom (Augustine for example) within the early church. Following each introduction, Litfin rightly gives us the text as it was written and offers helpful editorial comments throughout. 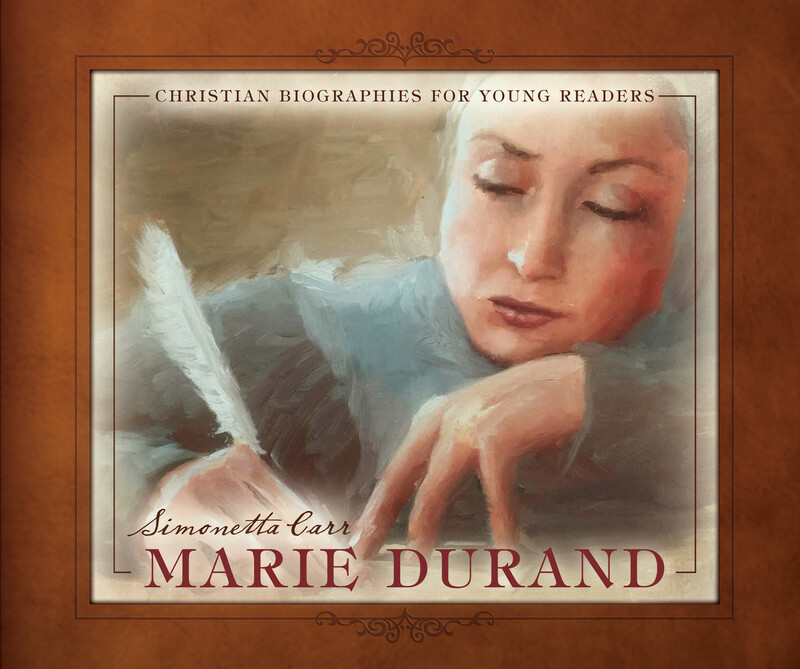 It’s important to let these early church writers speak for themselves first, and then through the helpful guidance of Litfin, see how their stories and their writings speak to us today. The martyrs refused to make Jesus into just another god. The martyrs counted the cost and gave up everything. The martyrs were utterly confident in their eternal hope. The martyrs call us into unity with the ancient church. So, take up and read and be challenged by both the writings concerning martyrs and martyrdom and the wise guidance of Litfin. Your life will be forever challenged and changed by the boundless devotion of these men and women for Jesus Christ. I’ve been thinking a lot about the pilgrim nature of our lives as Christians. In particular, with so many rapid changes in our culture here in the West, I’m reminded that I’m just passing through and that this world is not my home. Jeremy Walker’s new book Passing Through: Pilgrim Life in the Wilderness, is such a breath of fresh air for the Christian that I cannot recommend it heartily enough. Walker, a pastor in England, is fast becoming one of my favorite authors. His informed theology, pastoral warmth, and active service for Christ plays out in all of his works and is just as present here in Passing Through. As Christians we vacillate between isolationist (just gotta endure until the Lord comes) and over-engagement (going to create me a Christian culture on earth). Yet, the reality is, we are travelers making our way to the Celestial City (in the words of Bunyan), and while we will seek “the welfare of the city” (in the words of Jeremiah) this world is not our home. We are aliens and strangers and our citizenship is in heaven. On that note, Walker brings a helpful balance to our identity as strangers and pilgrims. He helps us to understand our enemy while we travel here on earth, know our battles and our mission, and teaches us how to live in and appreciate the beauty of this world as we anticipate our final destiny of living with Christ for all eternity. Pastors and teachers would be well served to work through the various elements that Walker presents for us in a series to help the many people in our churches who do not know where they are going, how they should get there, and what they should do while they’re here. And so we live as a pilgrim people, separated to God, engaging for God, citizens of Christ’s heavenly kingdom, seeking His glory every step of the way, living and dying to that end, waiting for His return, pressing on, passing through. You are currently browsing the Working out Salvation with Fear and Trembling blog archives for July, 2015.